Nearly 71 years ago, the United States unleashed atomic bombs on the Japanese cities of Hiroshima and Nagasaki, killing more than 200,000 individuals, many of whom were civilians. Fast forward to the present day, and President Obama—the antiwar candidate and Nobel Peace Prize winner who has waged war longer than any American president and whose legacy includes targeted-drone killings and at least 1.3 million lives lost to the U.S.-led war on terror—is paying lip service to the victims of America’s nuclear carnage, all the while continuing to feed the war machine. America has long had a penchant for endless wars that empty our national coffers while fattening those of the military industrial complex. Since 9/11, we’ve spent more than $1.6 trillion to wage wars in Afghanistan and Iraq. Adding in our military efforts in Pakistan, as well as the lifetime price of health care for disabled veterans and interest on the national debt, that cost rises to $4.4 trillion. Even now, the war drums are sounding as Obama prepares to deploy U.S. troops on a long-term mission to Libya and continues to police the rest of the world with more than 1.3 million U.S. troops being stationed at roughly 1000 military bases in over 150 countries. To this end, as I point out in my book Battlefield America: The War on the American People, Americans are fed a steady diet of pro-war propaganda that keeps them content to wave flags with patriotic fervor and less inclined to look too closely at the mounting body counts, the ruined lives, the ravaged countries, the blowback arising from ill-advised targeted-drone killings and bombing campaigns in foreign lands, and the transformation of our own homeland into a warzone. Nowhere is this double-edged irony more apparent than during military holidays such as Memorial Day, when we get treated to a generous serving of praise and grandstanding by politicians, corporations and others with similarly self-serving motives eager to go on record as being pro-military. Please continue reading at The Rutherford Institute. Re-posted from Telesur English, with many thanks. 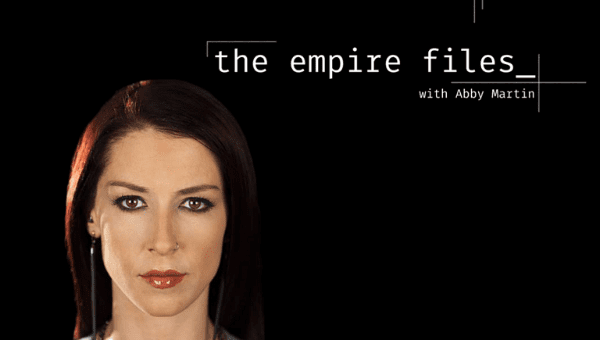 A timely reminder from intrepid journalist Abby Martin of The Empire Files at Telesur of the many ways the US Government has abused and exploited military servicemen and women since the time of WWII by enrolling them non-consensually in classified, experimentation programs for the testing of deadly bio-weapons, chemical weapons, physical weapons, and then refusing them medical care for harm caused. These have included radiation exposure, lobotomies, Sarin gas, Agent Orange, depleted uranium shells. Hard-hitting and panoramic, this overview with historic war footage offers grim evidence of long-lasting US Government policies of private exploitation and abuse of soldiers propped up by public facades of gratitude for their service–exploitation as reported by many in the military that continues today. Which raises the question: who or what are we supporting when asked to “support the troops”? For the whole article, please visit Telesur. Excerpt and video below. “There was never any accountability for destroying the lives and minds of thousands of soldiers,” Martin explains. The abuse extended from the end of WWI to the recent wars on Iraq. U.S. government denies 80 percent of insurance claims from veterans of the first war on Iraq, even though one similar program cost less than a third of a warplane. An estimated 250,000 servicemen are expected to endure lasting effects from their service there. Hundreds of thousands of U.S. soldiers were also exposed to Sarin gas during the two wars, not because the Iraqi army used it, but because they were ordered to destroy stockpiles and then breathed it. Officers told their subordinates to disregard the alarms meant to inform them it was time to evacuate. The Department of Defense admitted in 2015 what had happened. Depleted uranium shells, intended to maximize destruction, have also poisoned both civilians and servicemen in Iraq and Afghanistan. Cancer rates in Iraq skyrocketed after the invasions, as did rates of birth defects in hospitals in Fallujah, one of the cities hardest-hit by these toxic shells. “Nobody can ever repay the sacrifices made at Dunkirk and Normandy and Hiroshima and Treblinka, but we can all certainly learn our lessons. The Americans have learned. …The American people are still provably the Priority Creditors of the entire planet. We have not abandoned our position nor our property assets. We have paid the piper and what we say has to hold, or all the laws of commerce and all the laws of nations fail. So what do we say? 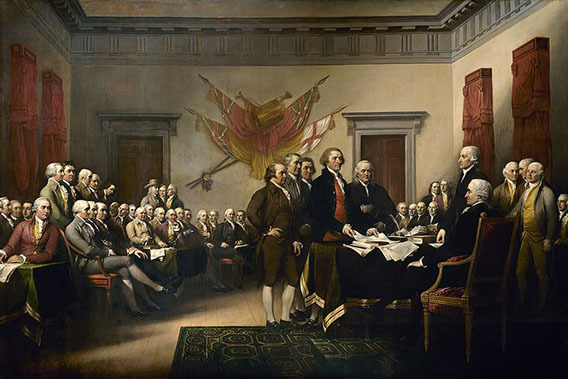 The American people are owed the guarantees of their actual Constitution— what the Vatican calls our “Original Equity Contract”— and we have acted properly to claim our property assets, have issued our Sovereign Letters Patent, have established our Joint Declaration of Sovereignty together with the Federal Indigenous Nations preserving our “Original Equity Contract” and have properly asked you in your capacity as Trustee to fascilitate the settlement of the so-called United States National Debt by application of our National Credit to balance the books. We have likewise directed the Board of Governors of the Bank for International Settlements regarding our Will. Re-posted from Facebook, with many thanks to Judge Anna. Relates to the previous post, Memorial Day–A Fitting Order Released. The Naturalization Act of 1802, Seventh Congress, Session 1, Chapter 28, Sections 1-4, April 14, 1802 sets forth the exact requirements necessary for anyone born in an American state to become a United States Citizen. Period. While the “United States” has always allowed Dual Citizenship— that is, has allowed its “Citizens” to claim both State and Federal Citizenship at the same time, the States of the Union make no such allowance. From the standpoint of the organic states, you are either out or you are in. So you have to make up your mind whether you are a man standing on your native land or a corporate fugitive merely “residing” here in a “Federal State of State” franchise existing only on paper. Most of us will agree that we are Virginians standing on the land of Virginia or Wisconsinites standing on the land of Wisconsin, and all of us can ask for proof that we ever completed the steps necessary to become United States Citizens? From the standpoint of the States of the Union, no such steps have been taken and no such “United States Citizenship” can be presumed absent such knowing and public declaration and action. Also from the standpoint of the States of the Union no such thing as a “citizen of the United States” exists — This purely corporate political status was created by the 14th Amendment of the Corporate Charter of the United States of America, Inc. deceptively calling itself the “Constitution of the United States of America” and has nothing to do with us and our nationality. You must know this and give Judicial Notice along with an Affidavit affirming that your nativity occurred on the land of whichever state and you must demand to see any proof otherwise demonstrating that you completed the steps required by the Naturalization Act of 1802. Of course no such evidence exists and they won’t be able to produce it. Their claim after-the-fact that you agreed to become a corporate slave for them doesn’t hold any water. And your Mother’s unknowing signature on an Application for a Birth Certificate doesn’t either. 2. Once you have a grasp of who you are and how to prove and assert it, you are prepared to lodge further objections with the court and this is where the Glossa Judicial Notice and Order comes in. Ever heard anyone use the expression, “Put a gloss on it”—-? It’s a slang expression meaning to “sugar coat or otherwise apply a mask or other deliberate obfuscation of identity or fact”. That’s what the use of Glossa promotes— a form of knowing misrepresentation of fact calculated to promote personage being practiced by attorneys to hide the identity of both plaintiffs and defendants. It is unlawful and illegal for any organization promoting itself as a “court” to use Glossa or any other form of knowing misrepresentation. So either the “court” has to admit it is a crime syndicate and a fraud, or it has to stop using Glossa and clearly identify the plaintiffs and defendants. 3. There are two reference books called similar names (sound familiar?) — One is the Chicago Manuel of Style, a popular style guide used widely by newspapers and other publications to provide uniform guidelines and standards for reporters and other writers; it is a large reference book similar to a dictionary or thesaurus. The other is The Chicago Manuel of Styles, with an “s” which is a much smaller and more limited publication the size of a larger format paperback book, that deals with the subject of “styles” or “stiles”(British) exclusively. The most recent edition I can find is 1948, though there may be more recent editions. Both of these publications adequately explain what the Glossa is, as does Black’s Law Dictionary. The earlier versions of the American Bar Association guides to legal style and usage also plainly state that the use of all capital letters denotes either a corporation or a dead man’s estate. And as I explained, the use of Glossa goes back to Roman times, when the use of all capital letters was used to denote the name of a slave—-so there is no excuse for anyone pretending that the use of Glossa is meaningless and no reason for anyone to scoff at your objections to its use with respect to your good name. If you aren’t a slave, you must say so. If you don’t object, the rats are free to “presume” whatever is advantageous to them. 4. The authority for my Order is Article X of the actual Constitution, which the rats also adopted in their failed attempt to enclose and privatize our Organic Law— the “undelegated powers” of the states and the people in the international jurisdiction of the sea. There is no delegation of power granted to Congress to create any corporate “persons” and name them after us — which is an act of attempted identity theft and a trespass upon our private property— nor was Congress ever enabled to use Glossa to denote corporations, estates or other corporate entities in any venue affecting us. Our Public Law requires all corporations to be clearly identified by suffixes attached to the name of the corporation, such as “John Deere, Incorporated.” or “Hiriam Walker, LLC”. This is required as a protection against exactly the kind of personage and barratry and other legal chicanery that has been practiced upon the innocent American People. Call the court on it. Issue Judicial Notice that there is no evidence that Congress was ever empowered to name corporate persons after living American State Nationals, nor is there any provision for Congress to require or even request registration of any child born on American soil — which is a repugnant and internationally forbidden activity resulting in involuntary servitude, press-ganging, and enslavement outlawed throughout the world since 1926. Any claim that a private contract can overcome the Public Law of this country or the International Law as a whole is in their favorite word, “frivolous”; while anyone might enter into such a contract, the contract itself is unlawful and null and void from inception. 5. Every “court” public and private operating on American soil is required to take Judicial Notice and stop accepting claims using GLOSSA. Both the plaintiffs and defendants must be clearly, explicitly identified. I have the right under Article X of the actual Constitution and under the provisions of The Alaska Statehood Compact to require this correction and I have done so. If they want to argue that they are dry docked on American soil and acting under treaty, they had better start obeying the treaties they owe us including the Treaty of Ghent 1814 and start operating exclusively within their proper jurisdiction. When they trespass onto my jurisdiction and address my people under false presumptions they have to answer to me and my directives. 6. It might appear that the wording of my Order is awkward and that the subjects and verbs mismatch. This is because the Order is stated in Legalese. It prohibits–separately– both the conventions using Glossa and the Glossa (NAME) itself—- both the deed and the word. This may seem a fine distinction, but it is necessary to prevent any additional fudging and chicanery. The judges and lawyers reading it will grasp the meaning and implications readily enough. This is all background information for you to know and use. The Order has been forwarded via Registered Mail to the Hague and also via email to the Office of the Special Prosecutor. These outrages will not be allowed to continue in any event, but you can all assist by calling these courts and their personnel on the carpet. When they trespass on you and your name and address mail or anything else to you using Glossa— feel free to stomp them flat with objections they cannot answer. 7. And always remember that it is impossible to be “in contempt of court” with respect to a court that has no jurisdiction related to you. When they operate in disrespect of the actual Constitution and our Public Law, they are owed no treaty.